The Fastnet, the sailing race that my character, Theo, enters in 2007, was started by a British yachtsman, Weston Martyr in 1925. 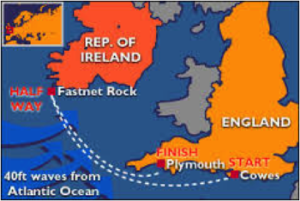 Generally considered one of the most challenging offshore races in the world, the Fastnet is a contest that tests both inshore and offshore skills, boat and crew preparation, and speed potential, often in severe weather conditions. 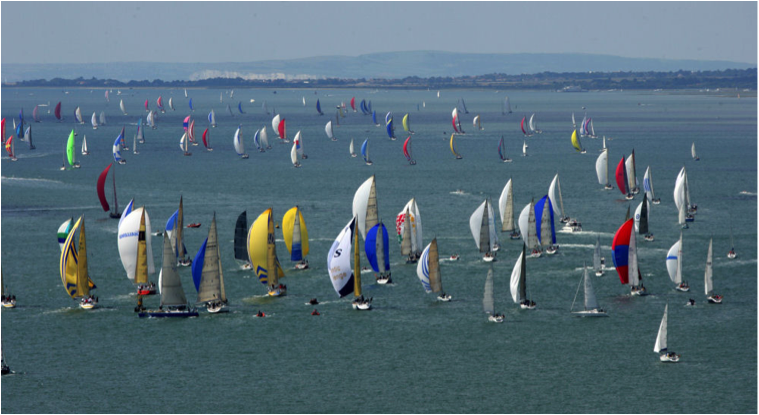 It is run by the Royal Ocean Sailing Club and has a 615 mile course, starting by the Isle of Wight, sailing to the South West coast of Ireland and currently finishing in Plymouth. The race is held every two years, and in 2015, the 90th anniversary, the entry limit of 340 boats was reached within 24 hours of the race’s announcement. Only seven boats entered in the first year, with some of them being old cruising boats. The winner was Jolie Brise, a 30-year-old yacht. The crew was at sea for 6 days, 14 hours and 45 minutes. On the third day of racing in 1979, a severe storm sunk five boats and killed fifteen sailors and three rescuers. Seventy five boats were flipped upside down. It was the largest ever rescue operation in peace-time, and involved over 4000 people. This led to a major overhaul of the rules and the equipment required for the competition. 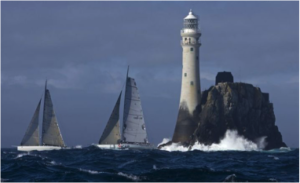 As in Ally’s story, the start of the real Fastnet race in 2007 was postponed by 25 hours, due to a severe weather warning. It was the first time this had happened in the race’s 83-year history. Overnight gale-force winds and the resulting extreme seas forced over three-quarters of the boats to retire and to shelter in ports along the south coast of England. Once the race did start, 207 boats of the 271-strong field had to retire with at least three suffering rig problems. Despite the conditions, a new record of 44 hours 18 min was set, taking almost 9 hours off the previous record set in 1999. Weston Martyr wrote on the sport of sailing, ‘It is without question the very finest sport a man can possibly engage in, for to play this game at all it is necessary to possess, in the very highest degree, those hallmarks of a true sportsman: skill, courage and endurance.’ I think it fits both Theo Ally to a ‘T’!